By now, many owners have realised that targeting your holiday rental to the family market is a good idea. Parents with preschool children in particular are one of the main groups who book their holidays in those harder to fill off peak weeks. It is no wonder that over recent years several specialist companies have appeared, like Baby Friendly Boltholes and Tots to Travel. Larger established agencies are also seeing the potential of this market and dedicating special sections of their websites to it. Mr & Mrs Smith for example, have recently unveiled a child friendly portfolio, and Sawdays now have a collection of properties perfect for families. But if so many properties are aiming at these kinds of guests, it raises the question of how to make your own property stand out within the family holiday niche? This is something that Jo Price, owner of Cahors Country House tackled with her own property a few years ago. Together with her business partner, Emma Taite, she developed an innovative child friendly holiday product, Holiday Buddy. 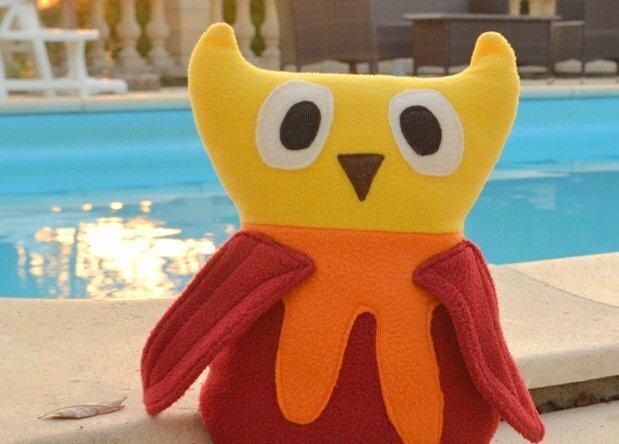 Holiday Buddy is actually much more than just a product, it is a whole new holiday experience involving a cute and friendly character, Oscar the Owl. Oscar resides at the holiday property (in cuddly felt form) and interacts with the children. He sends two emails to the children who are coming to visit, before their arrival. Included in one of these emails are some specially written and beautifully narrated children’s audio stories about Oscar. He also sends them each a “Holiday Kit” with colouring pencils, activities, luggage labels and a holiday diary so the children can start to enjoy their holiday before they even arrive! On arrival at their holiday house, Oscar is waiting for the children with his “News from the Nest”, a letter personalised for each family, detailing some family friendly places to visit and some tips for their holiday. Children are encouraged to take Oscar on trips with them and send photos to his friends, Emma and Jo for a prize at the end of the year. And the fun doesn’t end at the airport either, because when the children arrive home from their holiday they receive a postcard from Oscar, and at Christmas a card. A useful gentle nudge around the time that many people start thinking about next year’s holiday. Holiday Buddy not only explains more about the process and has an example of one of the stories to listen to, but also displays all the holiday properties where Oscar lives, offering another useful marketing opportunity for the owners. At the moment Emma and Jo are still offering Holiday Buddy at an Early Adopter’s price so if you think this may be of interest to you then do contact them soon.